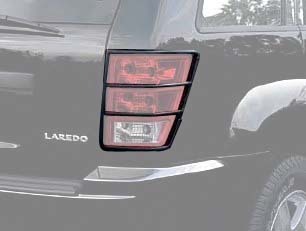 These tail lamp guards add a touch of rugged, off-road style to your Grand Cherokee, in addition to providing an extra layer of protection to expensive light assemblies. 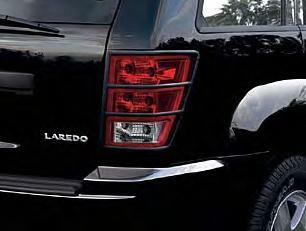 The tail lamp guards are made of molded plastic to take the bumps and impacts so your rear light assembly doesn't have to. They attach easily with adhesive and are sold in sets of two. Choose from black or a chrome-look plastic. These tail lamp guards are genuine accessories from Mopar and you'll always find the best prices and service on Jeep parts and accessories from JustforJeeps.com.? Sold as a set, available in black or chrome. Please select type above.